@Juanes Takes Over Latin Night on DWTS! Juanes, Romeo Santos & Jessy y Joy Earn Grammy Nominations. 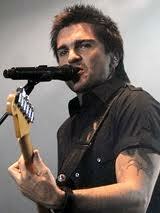 Juanes & Juan Luis Guerra Are Helping Sandy Victims With a Benefit Concert. Read up on the latest scoop from your favorite celebrities! Courtesy of our friends at 123UnoDoesTres!